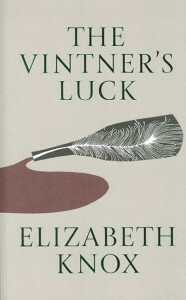 The Vintner’s Luck was published in the US by Farrar, Straus and Giroux and Picador US, and in the UK by Chatto & Windus and Vintage, and in New Zealand by Victoria University Press. It has been published in German, Dutch, Norwegian, Spanish, French, Hebrew, Italian and Korean. It won the Deutz Medal for Fiction at the 1999 Montana NZ Book Awards, where it also received the Readers’ Choice and Booksellers’ Choice awards. It was longlisted for the 1999 Orange Prize for fiction (UK) and it won the 2001 Tasmania Pacific Region Prize.